Three months after life as she knows it was decimated, Megan Wolford has only one goal: protect her daughter, Caitlin, at any cost. When a mysterious illness strikes Caitlin down, Megan is forced to forage for medical supplies at a remote lodge. 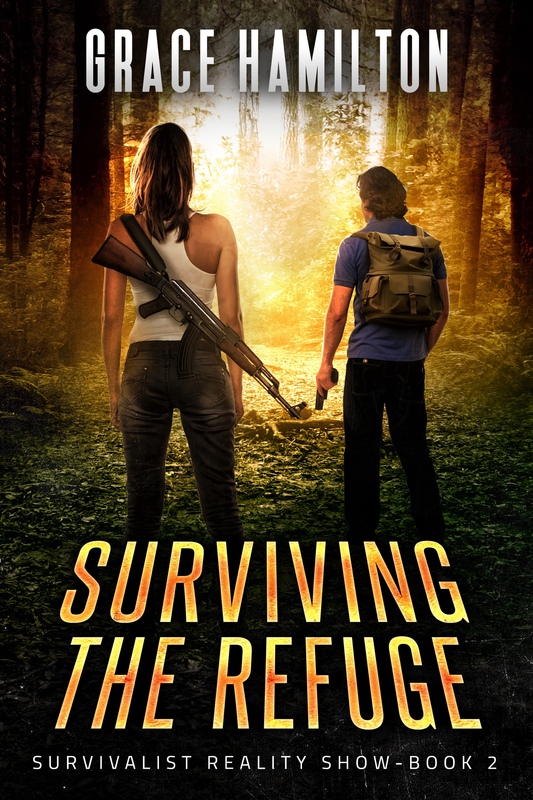 The last thing she wants is help from her fellow survivors when so many in her life have let her down—but soon she’ll find herself with no other option. 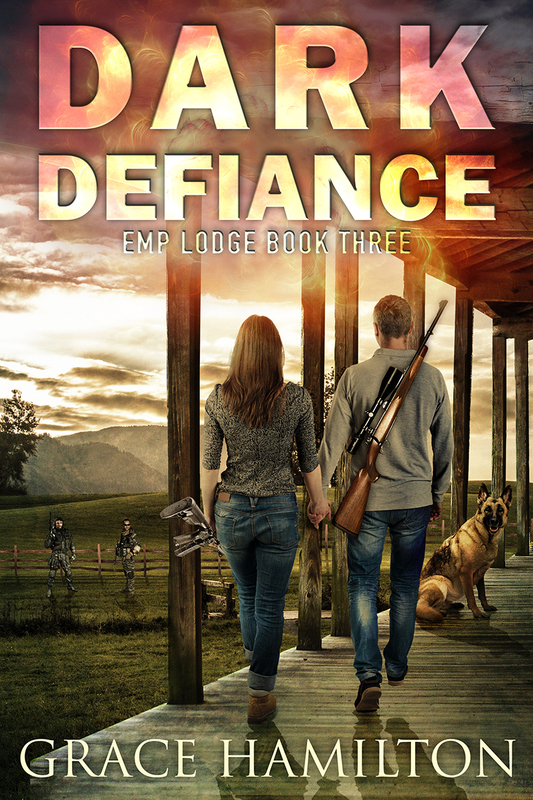 Ex-Navy SEAL Wyatt Morris is doing everything he can to hold his family together after the tragic death of his prepper Dad, so when Megan enters their lands, he is mistrustful at first despite feeling drawn to her. He won’t turn away an ill child though–no matter how deadly the world has become. But the arrival of another stranger named Kyle soon gives them all a new reason to be suspicious. Wyatt knows he’ll have to forge alliances in order to keep his family safe, but trusting the wrong person could be a deadly mistake. When Megan and Wyatt discover her daughter’s illness may be linked to Kyle’s arrival, it sets off a race to discover the truth before it’s too late to save Caitlin—and the rest of the Morris clan. Can they work together for survival . . . and something more? 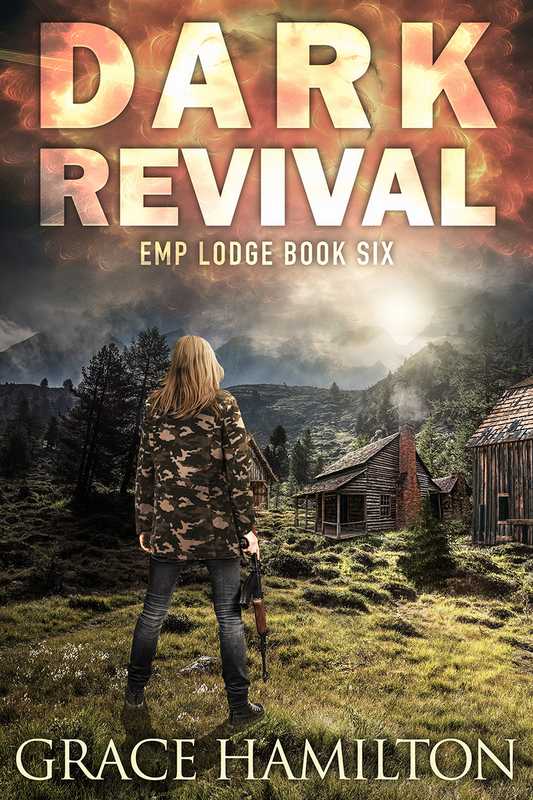 In the post-apocalyptic aftermath, Megan Wolford is settling in with her makeshift family at the safe haven of their lodge, but she remains wary of trusting others. Despite her growing feelings for Wyatt Morris, the leader of the group, she still feels most secure on her own. But when she becomes separated from her beloved daughter Caitlin in a storm, Megan is in danger of losing the one thing keeping her fighting to stay alive. Injured and desperate, she must fight every instinct within her to rely on the others for help when they find evidence that Caitlin has been kidnapped. Wyatt is determined to do everything he can to bring her home, and he organizes a search party to visit a set of old adversaries in the guise of traders to try and find the missing girl—but Megan would rather take matters into her own hands. With Megan setting off alone to face unknown enemies, she is more vulnerable than ever. When a mysterious stranger known as the Green Woman appears to be a lead in finding Caitlin, she’ll have to track her down. Can she put aside her stubborn need for independence and accept help from her newfound community before it’s too late? Strength in numbers can make the difference between life and death—but only the right numbers. Megan Wolford has finally found herself a family she and her young daughter can rely on in terrifying times. Their group is small, but they trust each other with their lives—and Wyatt is showing her day by day how to love again. With a long winter looming, they’ll have to hunker down in the lodge in order to survive, but there are deadlier threats to their safety than harsh conditions. 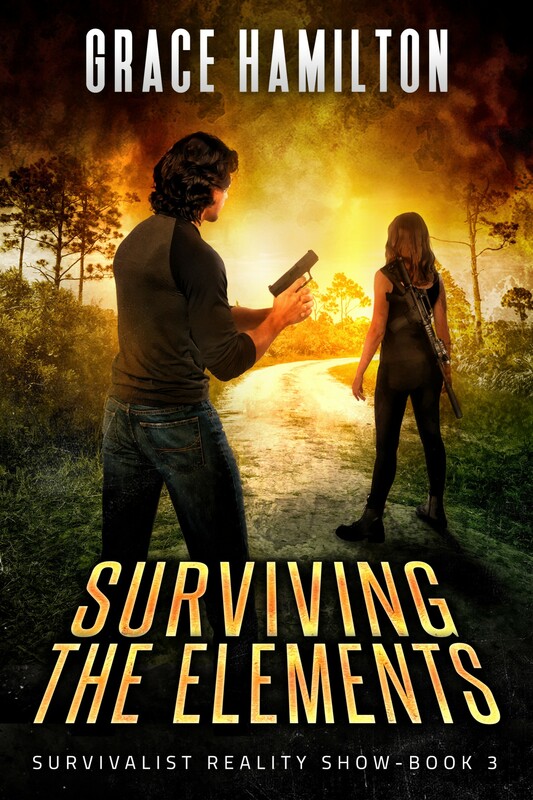 When a neighboring group is struck by ruthless raiders led by the fearsome Connor McDaniels, they must form an uneasy alliance with Megan’s new family. She doesn’t take kindly to newcomers, but they will need every pair of hands they can get to fight off the raiders. After McDaniels turns his sights on Megan’s people, she plans an assault that will put an end to the threat he poses once and for all—she’ll need every person she can get at her side. But first, she has to learn to trust them. In this new dark world, responsibility for others is a heavy burden. When a leak in a nearby dam threatens to flood the land they’ve fought so hard to keep, Megan and her group will have to make a difficult choice: stay or leave? Stopping the flood will require all their resourcefulness, prepper ingenuity and effort—but leaving it will mean the blood lost protecting it was for nothing. Megan Wolford knows surviving this new post-EMP world means facing ever-changing threats. It has been months since Wyatt’s brother Jack was killed, and his newborn son shows signs of an illness no one at the lodge can cure. Megan blames herself for Jack’s death, so when the opportunity to help his son, Jack Jr., arrives in the form of a wounded US soldier guarding a mysterious box, she’ll do anything to redeem herself. 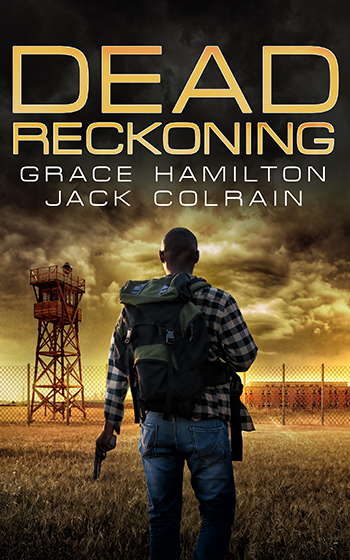 The soldier is desperate to deliver the package to the National Recovery Unit, and Megan agrees to take on the mission in exchange for medical care for Jack Jr.
There’s just one problem: Mark Doyle, a ruthless former special ops soldier who would rather die than see the world return to what it was before the strike. Thriving in chaos, Doyle works for what’s left of the U.S. government to fuel his addiction to pain meds, but the last thing he wants is for the box to reach its destination. Delivery could signal the end of this now broken world. Now, the group must battle their way through a ruined city filled with desperate gangs and scarce supplies to reach the NRU headquarters—all with a sick baby. But getting there will be just the beginning… they’ll soon discover the box contains a secret none of them bargained for. When lives are at stake, you can’t always rely on others—there are some things you have to do yourself. Rushing back from the NRU, Megan, Wyatt and their party arrive to find anything but a warm welcome. 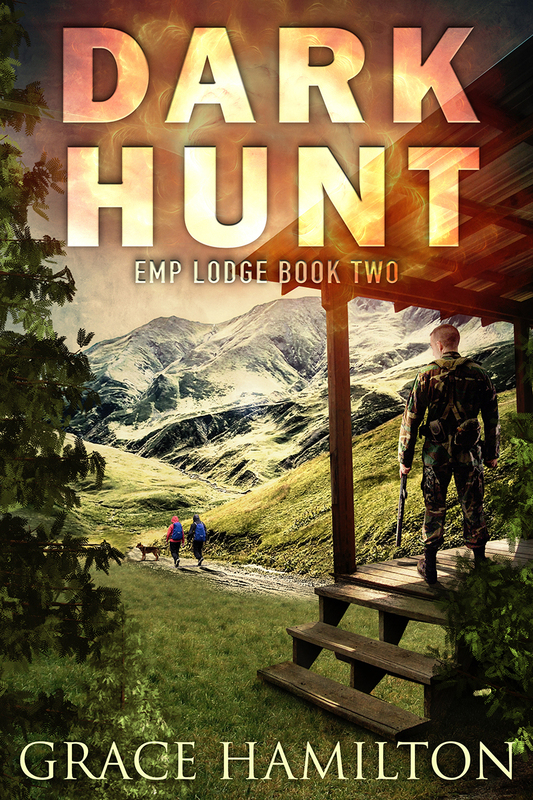 Their home has been compromised by rogue soldier Neil Spraggat and a small army of men who are using the lodge as a base for a deadly operation. To make matters worse, during the takeover of the lodge Megan’s daughter Caitlin and Wyatt’s mother Rosie were forced to hide in the root cellar to avoid capture. The remaining members of the lodge reconvene at an old hunting cabin to hatch a rescue plan, knowing time is of the essence. With limited resources and manpower, they must face a highly trained, elite military force—but Spraggat’s agenda is far darker than any of them could have imagined. 911 operator Jim Parker wants—more than anything—to be useful again. 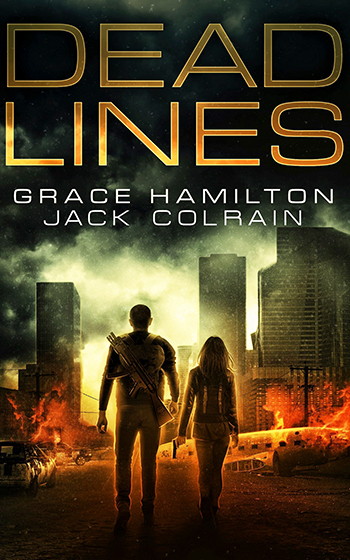 When a catastrophic EMP strikes, and he’s the last person a kidnapped girl speaks to before the lines go dead, he knows he can’t let her down. Especially when the circumstances are so similar to his own daughter’s disappearance. 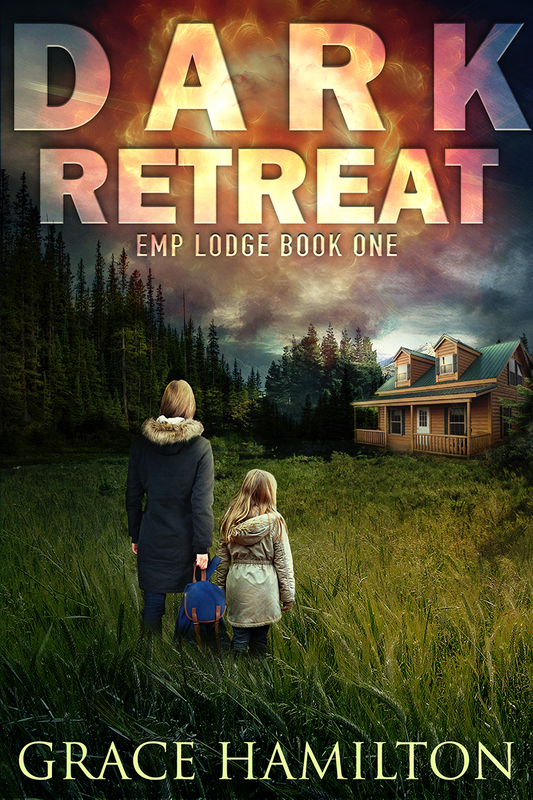 With the world falling apart around him, he wants to do nothing more than retreat to his prepper cabin. But with a fresh lead on his daughter, and another innocent girl’s life on the line, the disgraced cop will do everything in his power to track them down. Finn Meyers has lost Ava, her best, and only, friend in the world, but she knows where the missing young woman might be—and perhaps Parker’s long lost daughter. Now, Parker must form an uneasy alliance and tackle his own internal demons as the two begin a perilous journey that will take them to the headquarters of a mysterious cult in Indiana. But what they find along the way will shatter all their preconceptions—and threaten the world as they know it. Can a has-been and a has-not save the innocent, and stop a disaster from happening? With the world as he knew it in ashes, one man must protect those who can’t protect themselves. In the time before the storm, Jim Parker committed his life to helping others. As a police officer, he placed himself in harm’s way for the greater good. 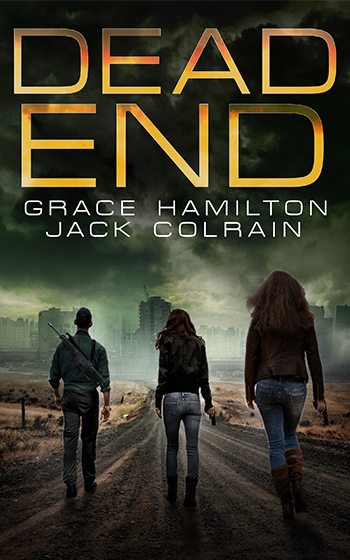 But now that the world’s been turned upside down by a deadly EMP strike, it’s all he can do to survive. With his friends Finn and Ava by his side, Parker must defy the power-hungry Council and search for his long-lost daughter, Sara. Sara gave up on being saved a long time ago. Abducted as a child and raised by the Church of Humanity on a compound called the Vineyard, she knows she can only rely on herself. With the Council behind her, she’s been working from the inside to bring down the corrupt Church and its sociopathic leader, Theo Truesdale. When her father and his friends arrive, Sara knows she just might be able to complete her mission—but a horrifying discovery Parker makes along the way shows just how truly ruthless the Council can be. Now, Parker will have to decide between taking down the organization that kidnapped his daughter, or saving innocent lives—with nothing less than his humanity hanging in the balance. In a world on the brink of chaos, a father must learn to let go. After destroying the Church of Humanity, Jim Parker is a hero of the rebellion. But his mission is just getting started. Living on the run takes its toll on Finn, Ava, and their friends, but Parker gains hope from the ordinary people he sees performing small acts of resistance every day. When word reaches the rebels that the malicious Colonel Brian Hays is inside the Council compound, they hatch a plan to infiltrate the stronghold and take him out. Parker offers to lead the operation, but he has another goal in mind: convincing his daughter Sara to join his side—whether she wants to or not. When the planned raid on the compound goes awry, Parker finds himself a prisoner of the Council. Now, he’ll have to do what he can to help his friends from the inside while attempting to bring Sara over to the resistance—but does a father really always know best? In the dawn of a new Ice Age, families everywhere are taking to the road to escape the frigid landscape—but you can’t outrun the cold. No one could have predicted the terrifying impact of human interference in the Arctic. Shifts in the Earth’s crust have led to catastrophe and now the North Pole is located in the mid-Atlantic, making much of the eastern United States an unlivable polar hellscape. Nathan Tolley is a talented mechanic who has watched his business dry up due to gas shortages following the drastic tectonic shifts. His wife Cyndi has diligently prepped food and supplies, but it’s not enough to get them through a never-ending winter. With an asthmatic young son and a new baby on the way, they’ll have to find a safe place they can call home or risk freezing to death in this harsh new world. When an old friend of Nathan’s tells him that Detroit has become a paradise, with greenhouses full of food and plenty of solar energy for everyone, it sounds like the perfect place to escape. But with dangerous conditions and roving gangs, getting there seems like an impossible dream. It also seems like their only choice. 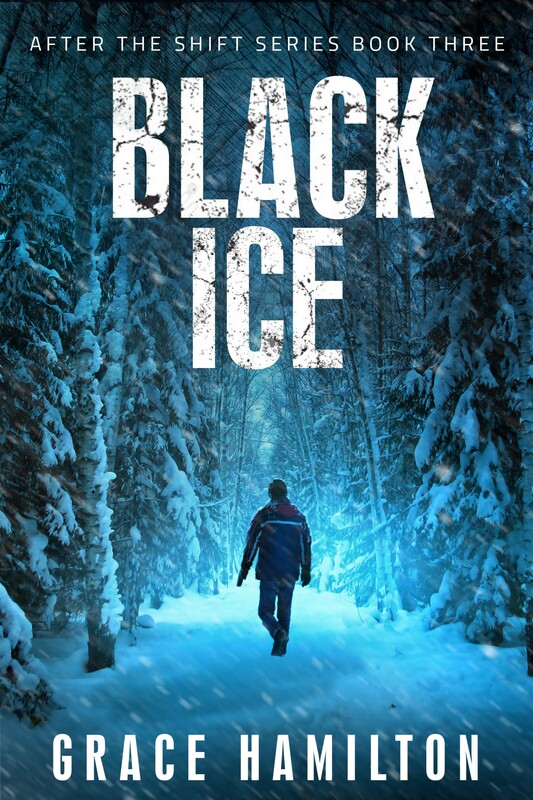 Nathan and his family are on the run from a catastrophic polar shift—but the bitter cold is the least of their worries. 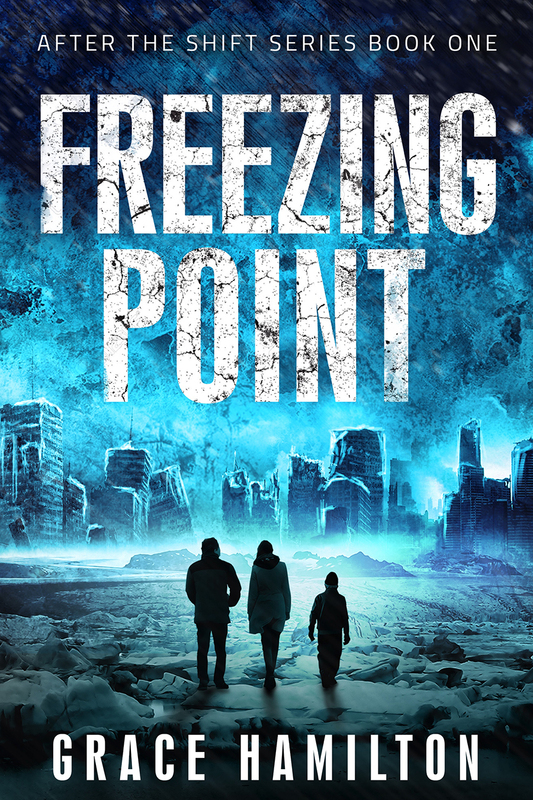 Nathan was led to believe Detroit would be the Promised Land, but when his family arrives they find a city struggling just to survive frigid conditions. 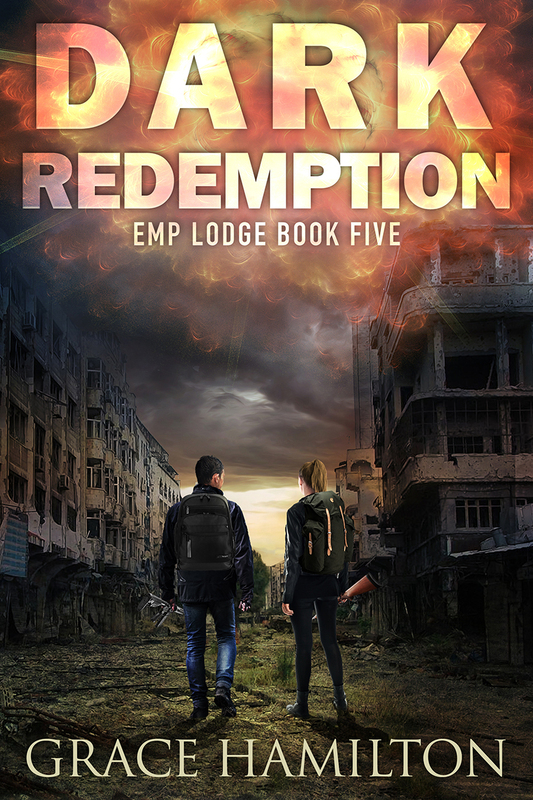 Nathan’s old friend Stryker has made a safe haven in the ancient Masonic Building, but it soon becomes clear the comfortable life within his walls is unsustainable. Resources are running out fast, and with a new baby to feed and a son in need of medicine, Nathan and Cyndi face a difficult choice: dig in with the dangerously naïve Stryker or head west to Wyoming with their friends Donie and Dave. As Nathan debates this fateful decision, he learns the horrifying secret behind Stryker’s success. He knows deep down that he is unwilling to pay such a price for his family’s safety, but leaving the city is no easy matter when even the walls have eyes. Now, his family, Syd, and their friends will have to use all their skills to help each other escape, or die trying. 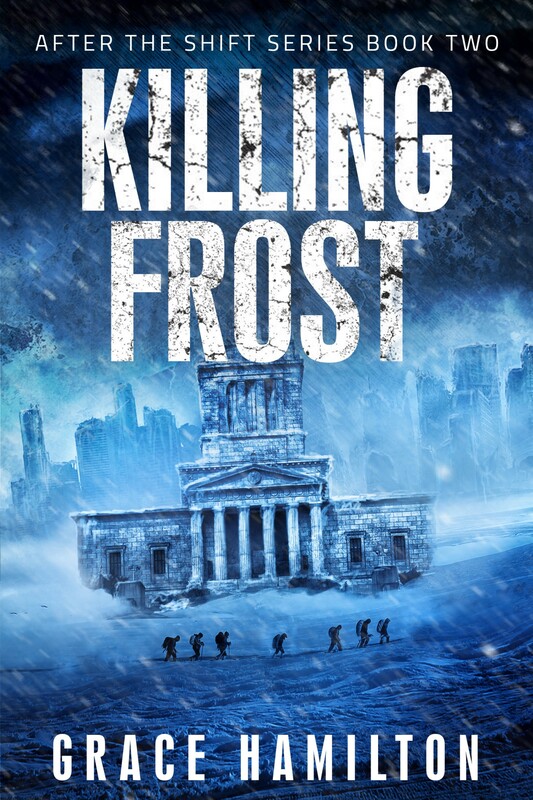 Losses pile up like the snowdrifts of a never-ending winter in this post-apocalyptic series conclusion. Nathan Tolley’s wife is gone, leaving him adrift in a vast ocean of bitter white that promises nothing but heartache and despair. Yet, his weary band of travelers continue to look to him to secure their safety. But Nate’s no leader. Every decision he’s made on their dangerous cross-country journey has taken them from bad to worse. First Detroit. Then Chicago. Now, Wyoming, which proves the deadliest of all. As circumstances continue to deteriorate like the weather, Nate turns their sights south, but the past is about to catch up to them in ways none of them will see coming. And in order to embrace an uncertain future, sacrifices must be made. Survival of the fittest gets real—fast. And, this time, it’s personal. Skin of Your Teeth Survival is a reality show made famous for pairing part-time survivalists with a real-life survival situation. Led by world-famous Prepper and Survivalist Wolf Henderson, season ten promises to be different: this time none of the contestants are survivalists—they’ve all been picked to fail. But when an EMP hits, the cast scatters and Wolf is left to guide a group of mis-fits in a suddenly dark and dangerous world. Wolf knows this group will be some of the first casualties if he doesn’t help so he offers them safety at his island bug-out location and takes off with his ragtag team to move through the wild and unpredictable swampland of Florida. The loner of the group, Regan, only joined the reality show to escape her past life. She knows she can’t survive on her own, but connecting with others has never been her strong point. She believes she has a better shot in one of the major cities on the coast than in the swamp, so she joins the team with every intent of striking out on her own once the opportunity arises. 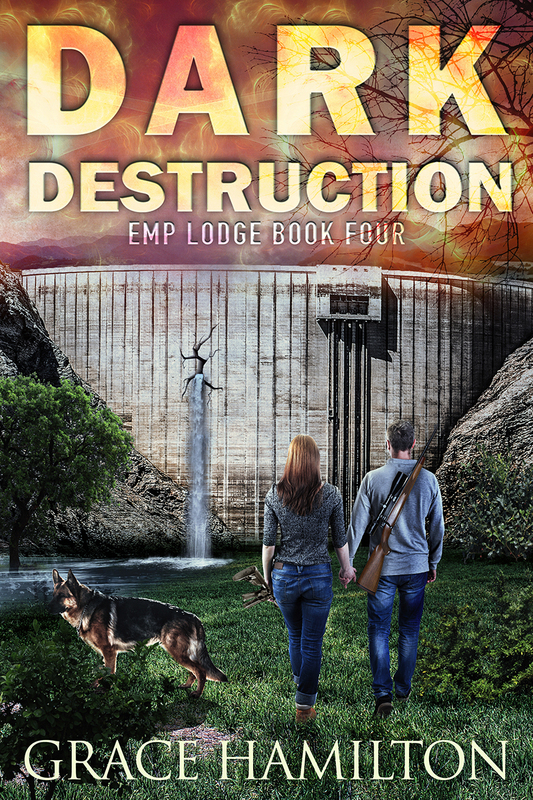 But with the world around them growing more dangerous every day, she has to figure out whether she’s better off with the group or alone in the post-EMP world. And whether Regan or Wolf realize it, the dangerous journey through swampland will soon become a literal fight for survival once they reach the chaos of ‘civilized’ South Florida. They thought their journey would be over when they reached the island refuge, but life isn’t as simple as what they’d hoped. At first glance, Wolf’s home is a prepper’s dream, but there’s a whole new learning curve that comes with living on the island. Regan is frustrated to learn that Wolf’s twelve-year-old daughter outmaneuvers her constantly, and more seriously than that, Regan begins to feel like every move she makes is the wrong one—all except with Wolf, that is. Even as the group begins to acclimate to the island, Wolf has to stay strong for his team and his daughter. Making it “home” wasn’t the relief he thought it would be. Instead, he finds a whole new range of skills he has to teach the group, and it all has to happen in the face of failing equipment and a quickly approaching storm season. Everywhere he turns, he finds something else going unexpectedly wrong. Struggling to keep up with the demands of life on an island and as part of a group, Regan finds herself in a rapidly disintegrating situation that causes her to question everything: her survival skills, the integrity of the group, and even the promise of safety they’ve worked so hard to secure. It’s enough to have her considering striking out on her own—even if it means threatening the safety of the team. But when the true threat is revealed, it will burn down everything the team knows—the good and the bad. 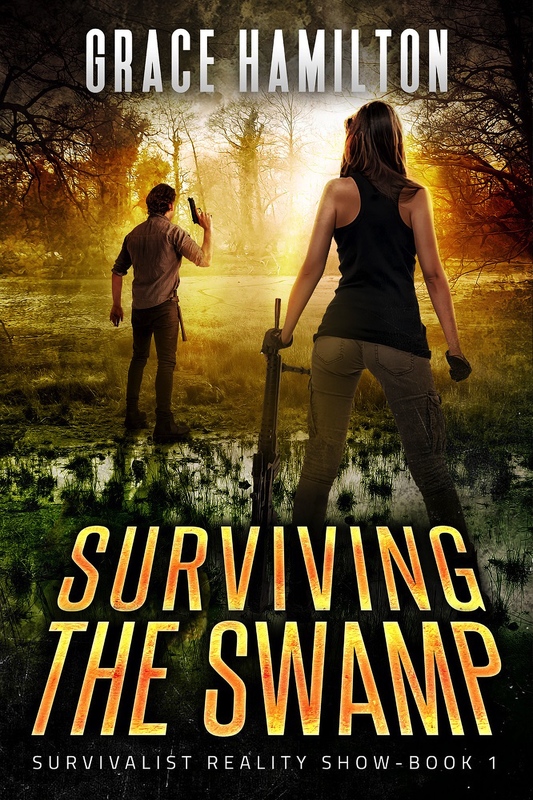 After the total disintegration of the island, Regan, Wolf, and the rest of the group decide to return to the one place they’ve called home—the swamp. However, returning isn’t as easy as it seems. The journey across Florida presents a whole new range of horrors as society breaks down, made all the worse when one of their own gets seriously injured. Plus, the team must face the trek with two new members whom some believe don’t belong with them at all. With danger and supply shortages at every step, questions are raised whether or not they’re making the best choice in returning. And while Regan believes she’s learned her lesson—groups are the way to go—it’s terrifying to make the final leap and fight not just survive… but to live. Sign up to Grace's Mailing List to be the first to know about new releases and awesome deals. No spam, no BS, just awesome content. What are you waiting for?